Here we are again at the time when we have to renew our registration with the Health Professions Council (HCPC). To encourage you to keep on the right track for the new audit cycle #otalk on 24/9/13 at 8pm is all about the TRAMm Model for CPD. Roe and I (Sarah) will be huddled around my computer on Tuesday looking forward to your questions – please be gentle with us, we are nervous first time hosts! This blog is to provide you with some background information about The TRAMm Team, TRAMm and pose some questions when considering your CPD. 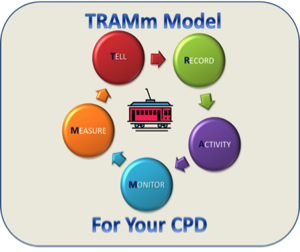 The TRAMm Model – Talk, Record, Activity, Monitor and measure. The TRAMm Model provides a framework to facilitate the journey through CPD. It offers a dynamic and fluid process that reflects the way individuals learn, absorb and apply new experiences. To gain the most from the TRAMm Model we have developed tools to help you keep track of your CPD. The TRAMm Trail provides an overview of your most significant pieces of CPD and along with your reflections aids completion of your statement for how the HCPC standards have been met. Roe and I both took the part time route to Occupational Therapy (OT) at Glyndwr University, Wrexham. Roe was a member of the first cohort of OT’s at Glyndwr in 2005 and graduated in 2009. I became an undergraduate in 2006, graduating in 2010. Roe was part of the original group who developed TRAMm as part of an Appreciative Inquiry module in the final year. Her group presented their work to the rest of the cohorts and after my enthusiastic questions and feedback I was asked to join the team to present the TRAMm Model at the Festival of Learning Edinburgh 2010. Roe and I both work part time as Community OT’s for the local council in different offices but a part of the same team managed by the same fully supportive, manager. Deb Hearle is Inter-Professional Lead for a large group of health and care professions within Cardiff University. She was the Glyndwr tutor who led the original module in which TRAMm was developed. She has been our mentor since the beginning and has joined Roe and I as an integral part of the TRAMm development team. Deb has recently been awarded with a College of Occupational Therapists Merit Award 2013. We all work on TRAMm in our ‘spare’ time. If you would like to know more or download any of our free resources please visit our website www.trammcpd.com, or contact us enquiries@trammcpd.com. What is your strategy for your CPD? Head in the sand? Carrier bag/drawer full of CPD certificates but no idea what to do with them! 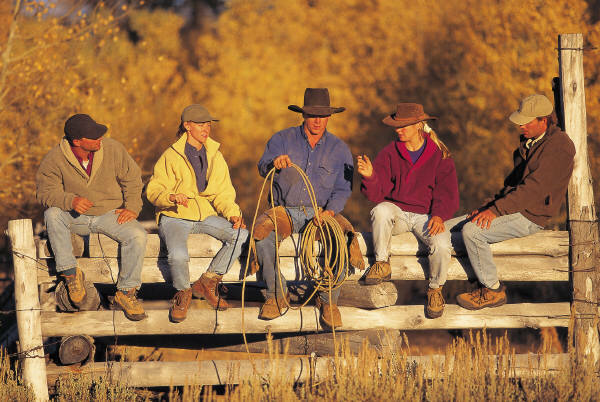 Sit on the fence – wait and see what everyone else is doing? 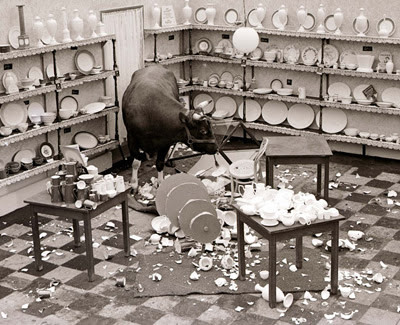 Are you a bull in a china shop with no real plan? 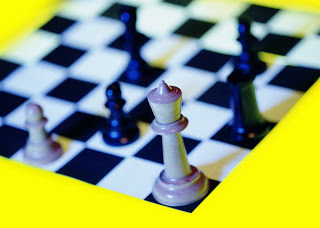 Are you strategic and have it all planned out?